Contrary to what you might believe, being a dapper dude doesn't take that much the place of work. 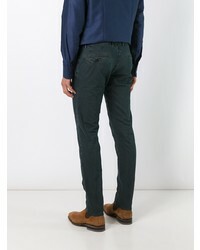 Just choose a grey wool blazer and dark green chinos and you'll look incredibly stylish. 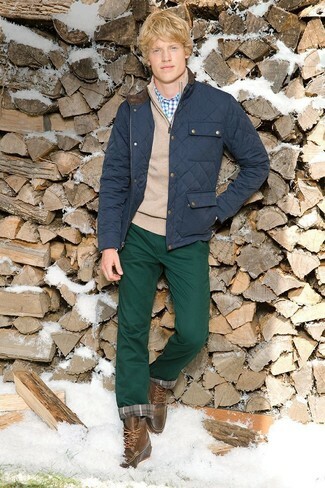 For an outfit that provides comfort and totally stylishness, make a navy quilted field jacket and dark green chinos your outfit choice. You could perhaps get a little creative in the shoe department and elevate your ensemble with brown leather casual boots. 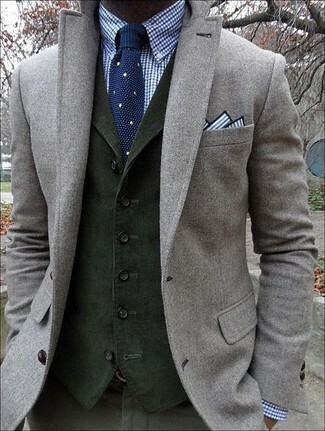 If you're hunting for a casual yet sharp outfit, try teaming a grey cardigan with dark green chinos. Both garments are totally comfortable and will look great together. 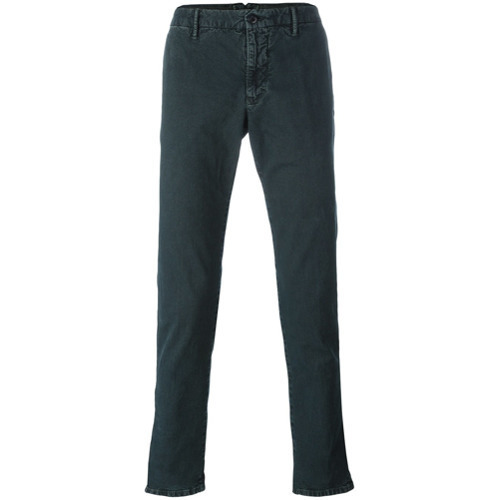 Round off this getup with charcoal plimsolls. If you're searching for a casual yet seriously stylish look, reach for a white and navy print crew-neck sweater and Incotex classic chinos. Both items are totally comfortable and will look great paired together. Up the cool of your getup by rounding it off with dark brown suede desert boots. If you're on the lookout for a casual yet sharp look, make a green-yellow windbreaker and Incotex classic chinos your outfit choice. Both items are totally comfortable and will look great together. Finish off with black low top sneakers and off you go looking good. This smart pairing of a white dress shirt and Incotex Classic Chinos is very easy to pull together in no time, helping you look amazing and prepared for anything without spending a ton of time rummaging through your wardrobe. 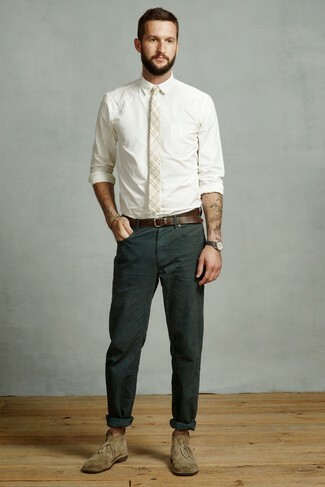 A pair of olive suede desert boots will add a new dimension to this look. 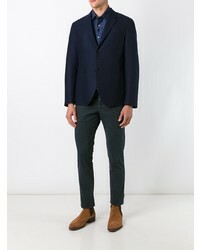 For a smart casual outfit, wear a navy wool blazer and Incotex classic chinos — these two items fit nicely together. Got bored with this ensemble? Enter brown leather derby shoes to switch things up. If you're on the hunt for a casual yet dapper getup, consider pairing a brown cardigan with Incotex classic chinos. Both garments are totally comfortable and will look great together. Perk up your look with black leather chelsea boots. 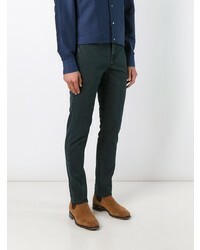 If you're on a mission for a casual yet sharp getup, team a black crew-neck sweater with Incotex classic chinos from farfetch.com. Both pieces are totally comfortable and will look great together. Up the cool of your look by finishing off with dark brown leather loafers.